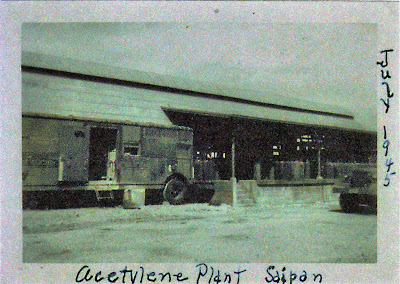 The first two pictures are of the Gas Generating Plant as it was in 1945, and the third picture was taken by Dave Sylvester when he returned to Saipan in 1992. 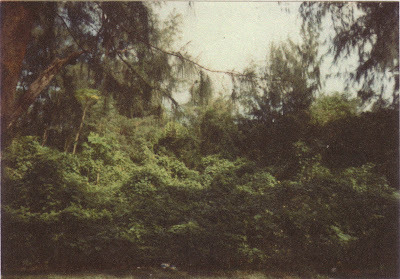 This is the location of the Oxygen plant, and in fact, he found that the foundation of the building was still there, but the vegetation had clearly taken over the areas. Dave thank you for sharing these photos with us!